Life can be much broader once you discover one simple fact: Everything around you that you call life was made up by people that were no smarter than you…once you learn that, you’ll never be the same again. Unless blessed with Trumpian levels of self confidence, everyone in business will have felt it at some stage. It usually crops up early in your career. That feeling of awkwardness when you’re making a point in a room full of experienced peers and superiors, hoping that it will land. The anxiety and feeling of unease when you’re about to present to a room full of smart people. The experience of being out of your depth, swimming in deep water when you’re given a difficult, mission critical task. As an anxious person by nature, for years I would literally come out in a sweat at some of these moments, face turning red and mouth turning dry. Despite the fact that I knew objectively and logically that I belonged at this level, that I was good at my job and could add value to meetings, presentations and projects, there was always that gnawing feeling in the back of the head. ‘Nobody is going to listen to you anyway, might as well keep the mouth shut’. I thought it was only me that suffered from this lack of confidence and feeling of inadequacy at certain points in my career. Until I started to realise that everyone else in the room was also feeling, or at least had felt that exact same thing at some point. Then I learned that this thing had a name – ‘imposter syndrome’. And even more enlightening, I started hearing incredible, experienced, world class people at the top of their game talk about similar feelings. I came across a commencement speech from the acclaimed author Neil Gaiman where he speaks about having the exact same problem – a feeling that you’re about to be found out at any moment, and you’ve no right to be where you are. He calls it ‘the fraud police’. Retired sportspeople seem to be the most willing to speak about ‘imposter syndrome’. I’ve heard a similar trope from countless rugby, football and GAA stars. Pep Guardiola, a man who has won almost everything there is to win in the world of football, claims he’s a constant sufferer. Even the great Brian O’Driscoll has spoken about his feelings of inadequacy and lack of confidence when stepping up a level in his career. It impacts objectively successful people from all walks of life, from Maya Angelou to Seth Godin to Tim Ferriss. Feelings of fraud seem to drive some of the best people on. I heard a great description of the scourge of imposter syndrome on a podcast recently. 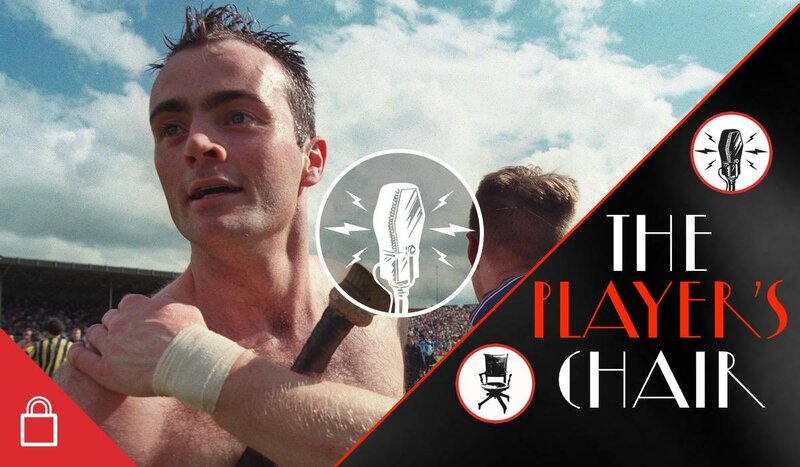 Former footballer Richie Sadlier has a new show with Second Captains called ‘The Player’s Chair’, and judging by the first few interviews, he has also found an interview style that gets brilliant guests to let down their guard and verbalise their inner thoughts. The conversation with former Clare boss Anthony Daly was at once truly vulnerable, but also incredibly empowering. Daly touches in his own West of Ireland way on topics like anxiety, stress, bereavement and family life. Without even knowing it, he imparts some incredible pearls of wisdom. One of the best passages has Daly and Sadlier speaking about the scourge of imposter syndrome. Here are a few quotes. Daly: ‘Yeah, the monkey on my shoulder I call him. I try to beat it back with positivity, but it’s a constant battle’. A beautiful description of the phenomenon and anyone who has felt it will understand what the two guys mean. It strikes me that introspective people who overanalyse (I’m certainly one of those) tend to suffer from this more than others. Imposter syndrome is closely related to the ‘Dunning Kruger‘ effect, the irony that unintelligent people are often overconfident and overestimate their ability, while brilliant people (I’m certainly not calling myself one of those!) often underestimate themselves and put themselves down. The things that get you to the top – drive to always be better and a strategic brain that overthinks about small details, can actually be the things that make it difficult for you. Irish society has come a long way when it comes to talking about mental health, and we’re more aware than ever that talking is important and depression is a serious illness that can be treated. Guys like Bressie, Alan O’Mara and Colm O’Gorman have done brilliant work in unravelling the taboo around male depression. I believe there’s also a wider job that needs to be done around latent, more difficult to define problems that Irish people suffer from around self confidence (not arrogance), self worth, anxiety and living with our own thoughts. These might not be life threatening problems and illnesses in the same way that serious depression is, but they do also impact many people’s quality of life. I wish someone had told me about imposter syndrome when I was younger, told me that we all have feelings of inadequacy, but that doesn’t mean you’re inadequate. Now, through experience, learning about imposter syndrome and how others suffer, I see these feelings as a positive. I’ve turned my perception around, because anyone that’s pushing themselves and trying to better themselves, if they’re honest, will always have that little voice in the back of the head. It just goes with the territory. I now know that under control, it can actually be a healthy thing, a motivator that can spur you on and shows that you care about what you’re doing. Only a small proportion of people, often supreme narcissists like Trump, will have supreme self confidence in all scenarios. Sure, some of the time the voice is right, some of the time you are out of your depth and you shouldn’t be in that position. But then again, we only learn outside our comfort zone, not from playing it safe. It’s about learning to quieten it and knowing when not to listen to the little prick in your head, the monkey on your shoulder. We are what we think, and if we allow the strange power of the mind to continuously create doubt and ultimately self sabotage itself, we’ll never accomplish anything.